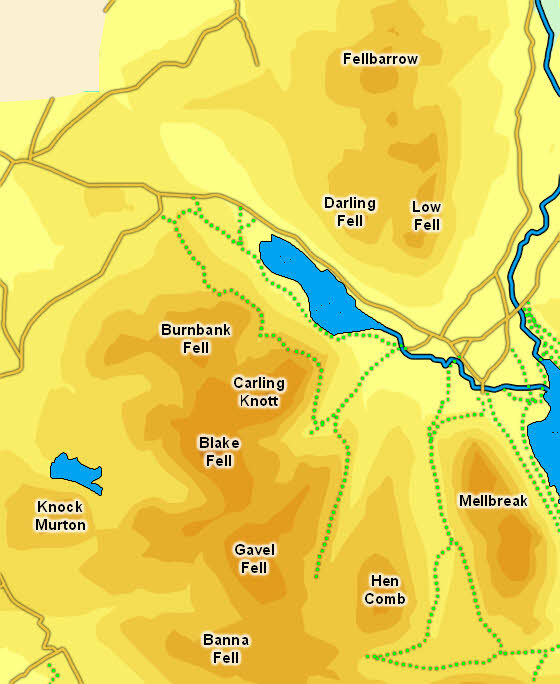 There are two ranges of Loweswater Fells. To the north is a solid block of upland, with several summits seperated by undulating country. To the south is an area of more distinctly seperate fells, with Blake Fell in the west and Mellbreak in the east the best of them.